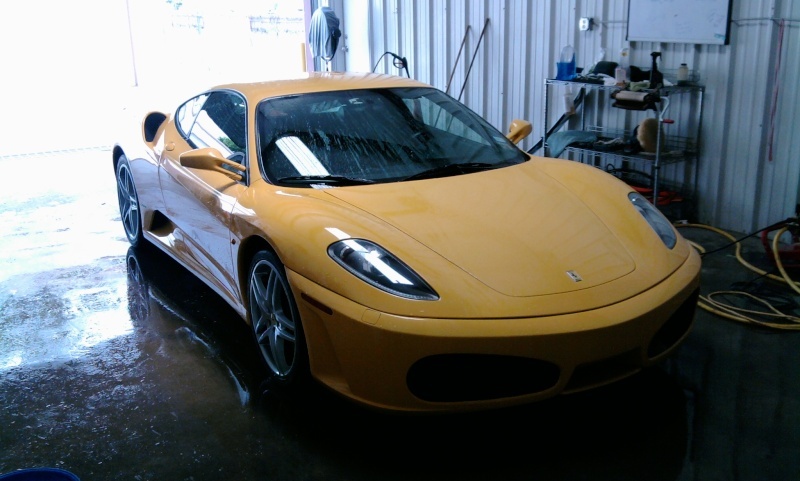 we got our ferrari back, i'm washing it in the pic. I'll get a video up on teusday when i have to fill it up. the murc will be back any day now so i'll get that one up too whenever it comes in. it's crazy how much these cars cost. our parts guy was so excited that he found a used front bumper for the murc for 8k, a new one from italy is 14k.